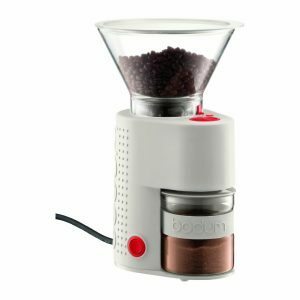 Grinder crushes beans between stainless steel conical burrs rather than slicing them which preserves bean’s intrinsic flavor and aroma. 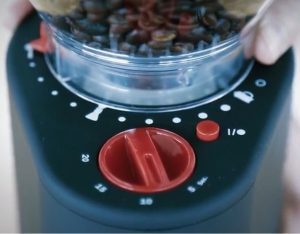 Ask any coffee connoisseur and they’ll tell you that in order for coffee beans to develop their full flavor profile, they must be ground right before coming in contact with hot water. 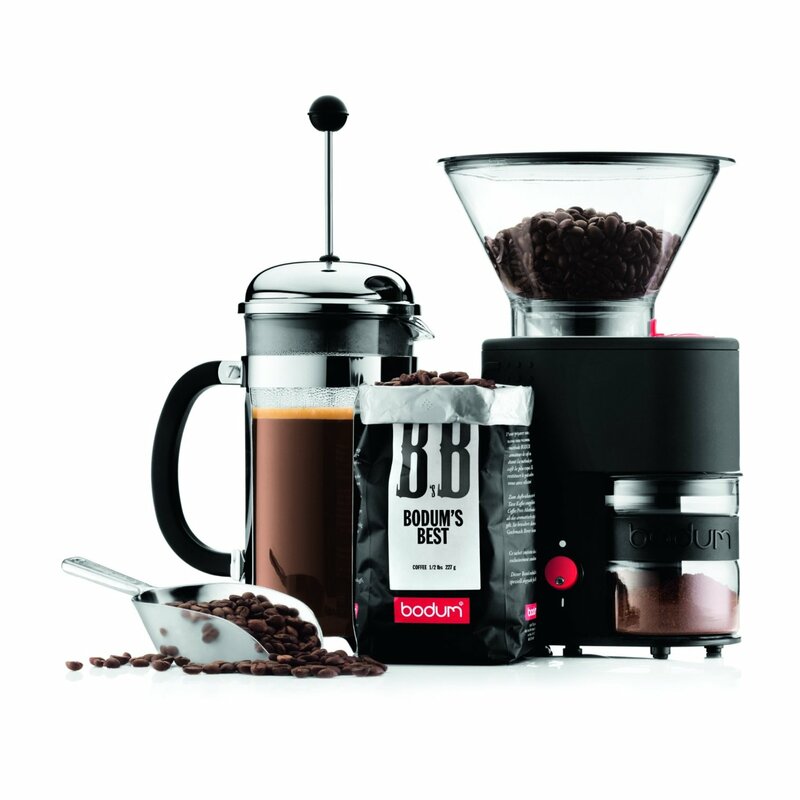 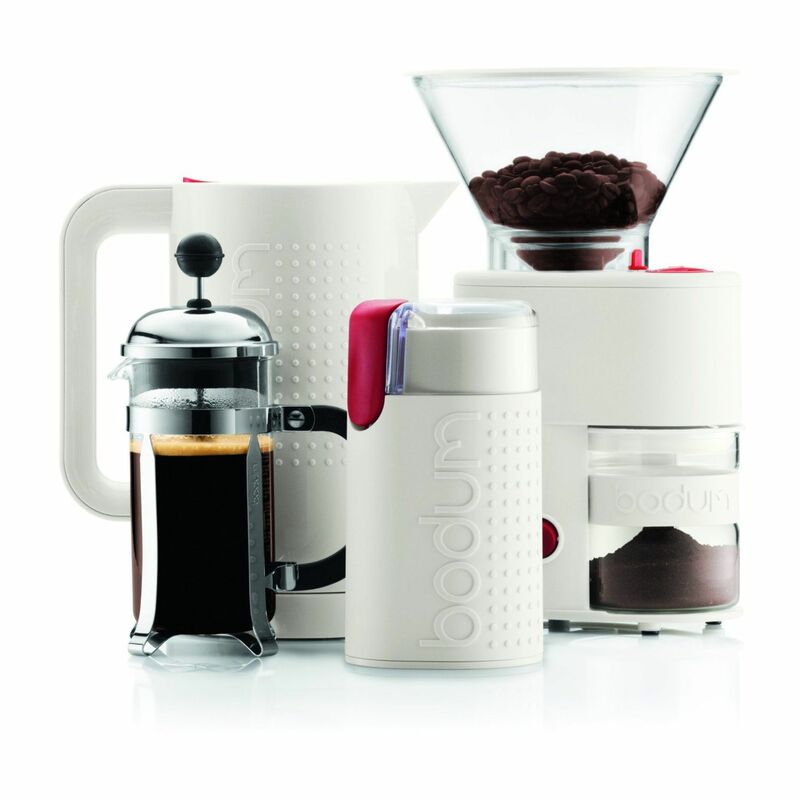 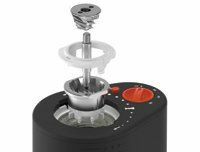 The burr grinder is continuously adjustable – twisting the upper bean container determines how finely ground the beans will be. 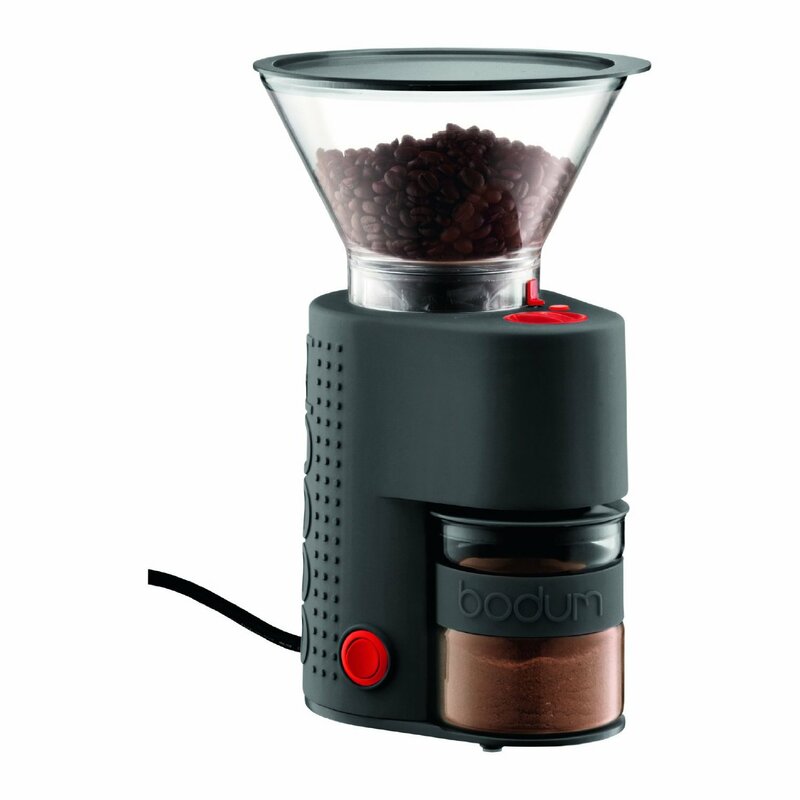 12 settings from coarse to fine, you can deliver the ideal grind for any brewing method. The Bistro coffee grinder comes with a borosilicate glass container to catch the grounds. 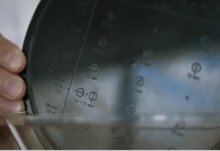 The glass catcher is inherently static-free, reducing the amount of overall static and ‘jumping’ coffee grounds. 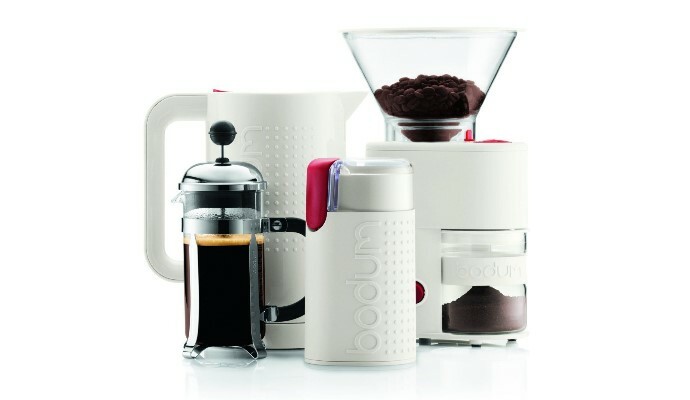 This and the tight silicone lid make for an excellent, no-spill coffee grinder. 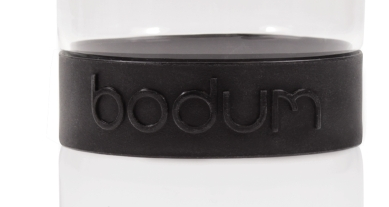 Lid to keep beans fresh and provides an easy to read measuring guide underneath. Conical stainless steel burr grinder provides a consistent grind; no sharpening required. 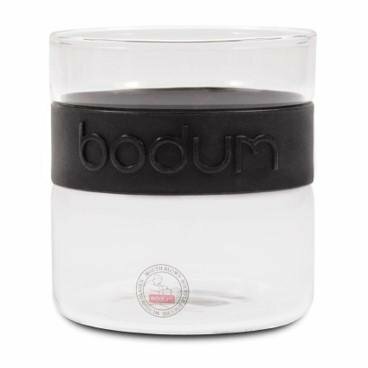 The catcher is made of anti-static borosilicate glass so the fine coffee grounds don’t cling to it. Lid keeps beans fresh. The silicone band around the grinder body prevents slipping and allows for a firm grip.